FV3000RS was funded by NIH shared instrumentation grant to Prof. Brian O'Rourke, with Prof. Mark Donowitz, co-P.I. - most projects are through our NIDDK P30 Center. Live cell and tissue imaging using an Olympus FV1000 MP mulitphoton excitation fluorescence NDD4 microscope, with ratiometric ionic probes (Indo-1 or SNARF), CFP/YFP, and "RGB" filter sets. Andor Revolution X1 spinning disk confocal microscope with TuCam image splitter and dual EMCCDs. Keyence BZ-X700 "box" microscope (no eyepieces), can handle many different specimen formats. Measurements of intracellular pH (potentially other ions) on cell populations using PTI’s RatioMaster and QuantMaster spectrofluorometic systems, equipped with temperature controlled perfusion chambers. Access to MetaMorph and Volocity software for advanced image analysis, deconvolution, tracking, etc. 20180711Wed: Our two main instruments are confocal microscopes. With the arrival of our Olympus FV3000RS confocal microscope, I am posting my recommended XY pixel and Z step size to get optimal image quality from our confocals + GPU deconvolution (SP8 -> HyVolution2 or FV3000RS w/Olympus GPU deconvolution). * HyD1, PMT2, HyD3 ... I normally use the HyD's in photon counting mode (16-bit acquisition), 10 line accumulation (more or less if needed or usable, respectively). Emission band at least 10 nm from laser line (more if close to coverglass or slide). * 405nm, 445nm, 488nm, 514nm, 561nm, 640nm and 730nm lasers. Why these pixel and Z settings? Yes. If you are like Sammy Hager, and cannot drive 1.4NA with 50nmXY and 150nmZ ( https://www.youtube.com/watch?v=RvV3nn_de2k ) that's nice. But hopefully you have a better reason than the microscope company default settings of 512x512 pixels and 400 Hz. We are not the only light microscopy core facility at Johns Hopkins University. We will try to keep the links below up to date - if you find a non-functional link, or would like us to add a link, please contact George McNamara, gmcnamara@jhmi.edu with information. lots of equipment and staff. includes links to many JHU cores and mentions their department has a machine shop. The department has a Nikon epifluorescence microscope equipped with a CCD camera for digital imaging. This unit is a core facility, available to departmental members at large. In addition, the department has an Olympus Fluoview 300, laser-scanning confocal microscope that is shared among several departmental laboratories that competed successfully for an NIH shared instrumentation grant. The confocal microscope is equipped for simultaneous electrophysiological and patch-clamp recording, and has custom lasers permitting CFP/YFP FRET imaging. The Olympus FV1000MPE multiphoton laser-scanning microscope offers bright, clear imaging deep within specimens. The microscope is equipped with a wide variety of regular and water immersion objectives for in vivo and ex vivo imaging (see table below). In addition, our facility also carries a special 20 X MicroProbe objective that allows high-resolution imaging in vivo. This MicroProbe objective has a unique design employing a characteristic long, narrow tip that is optimized for insertion into an animal’s body to allow observation of various fluorescence signatures. The tunable pulsed laser with a range of 690 nm to 1040 nm and 3 standard Photo Multiplier Tube (PMT) light detectors (2 have spectral discriminations) enables the detection of fluorescence markers such as most Alexa dyes, Fluorescent proteins, DAPI, Rhodamine, Calcein, Fluo-3, Fluo-4, Indo-1, FITC, Hoechst, and second harmonic signal generating and auto-fluorescing molecules such as collagen I and NADH. The specialized microscope software and motorized x-y stage allows for users to take z-stacks, time series, and tile images of true 12 bit acquisition with up to 4096 by 4096 pixels. Application: a>Imaging neural networks in the brain. b> Photoreceptors in the retina. c> Cancer cell and tissue structures in the various vital organs of small animals such as mice or rats. d> SHG Imaging for Collagen 1 fibers. Animals and specimens that are still radioactive at a low dose will be allowed on this microscope to integrate multiphoton microscopy into multimodal imaging studies using PET and SPECT. Nikon C1si True Spectral Imaging Confocal Laser Scanning Microscope System. One of the advantages of conventional Confocal microscopy is the ability to optically section tissue or cells therefore eliminating out-of-focus glare. The C1si also has the capability of acquiring 32 channels of fluorescent spectra over a 320 nm wide wavelength in a single pass using spectral imaging. Nikon E-600 is an upright microscope with a Nikon DS-Fi2 camera connected. The E-600 scope uses Elements for fluorescent microscopy and for brightfield microscopy. E-800 is an upright Microscope. This also has a CCD camera attached to it for imaging of fluorescent slides using Elements software. Leica LMD 7000 Microscope. Used for laser capture microdissection. Nikon SMZ 1500 fluorescent stereoscopic zoom microscope is suitable for quickly assessing the presence of fluorescent proteins, such as GFP in live cells. In addition, the low magnification capability permits photography of whole tissue mounts using Elements and Act-1 software. TE-200 + CCD camera - Inverted Microscope. Also has CCD Camera attached for imaging of culture flasks/plates using Elements software. Nikon TE2000E is an inverted microscope. • Two Zeiss LSM 700 confocals with Pecon cage incubators for live imaging. 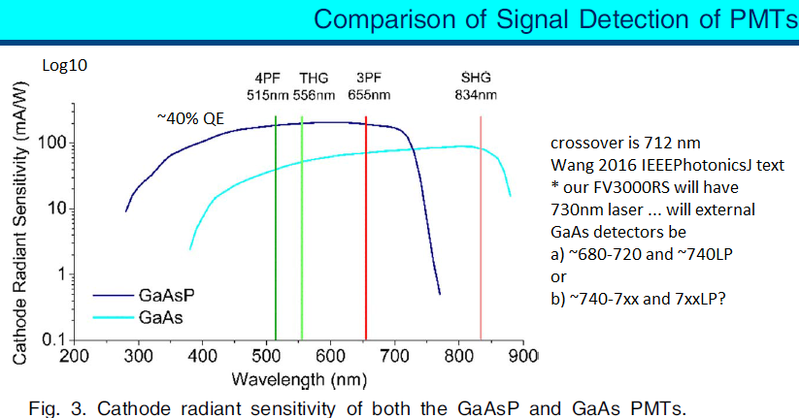 Lasers include 405, 488, 555, and 633 nm. • Zeiss AxioZoom V16 Fluorescence Stereoscope equipped with Axiocam MRm camera. Note: accessories not listed here. One Leica STED nanoscope and lots more confocals. The Confocal Imaging Facility (CIF) provides state-of-the-art equipment, training, and image processing capabilities to assist all researchers of the NIA IRP in experiments involving light and confocal microscopy. The CIF serves as an imaging resource for NIA IRP, and in addition to performing imaging and training researchers in confocal microscopy, we provide consultation in cell biology and imaging experimental design, optimization and analysis and advice on microscopy, including non-CIF systems. LaVision Biotech Ultramicroscope II - light sheet fluorescence microscope.